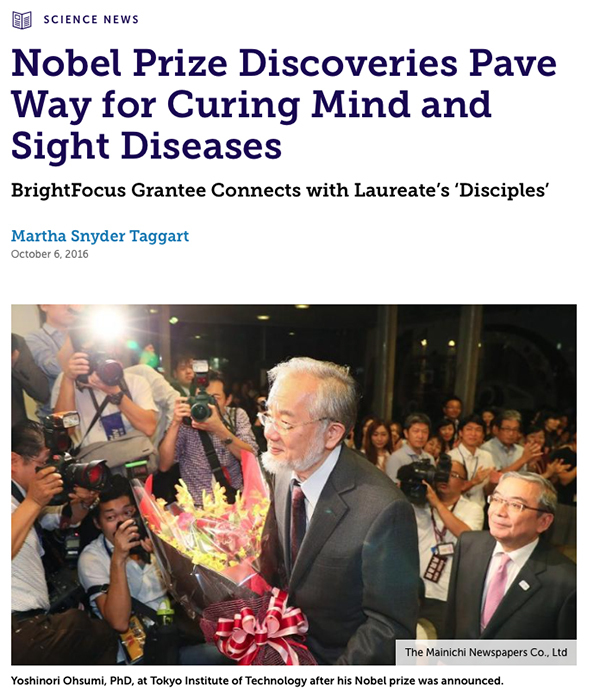 The BrightFocus Foundation has a wonderful post out that describes Yoshinori Ohsumi’s Nobel Prize in Medicine awarded this year. 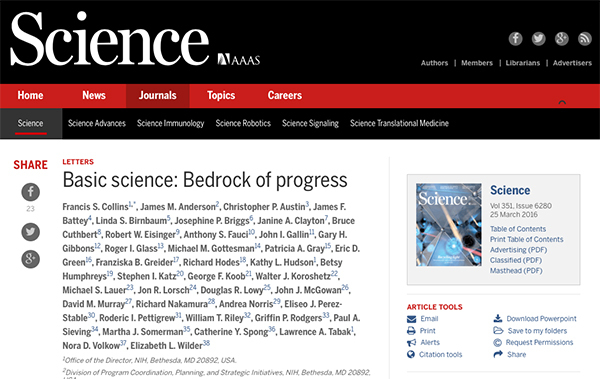 The post covers the work that led up to the Nobel as well as the applications of this work to diseases such as Alzheimer’s and Age Related Macular Degeneration (AMD) being explored by BrightFocus funded investigator, Debasish Sinha. 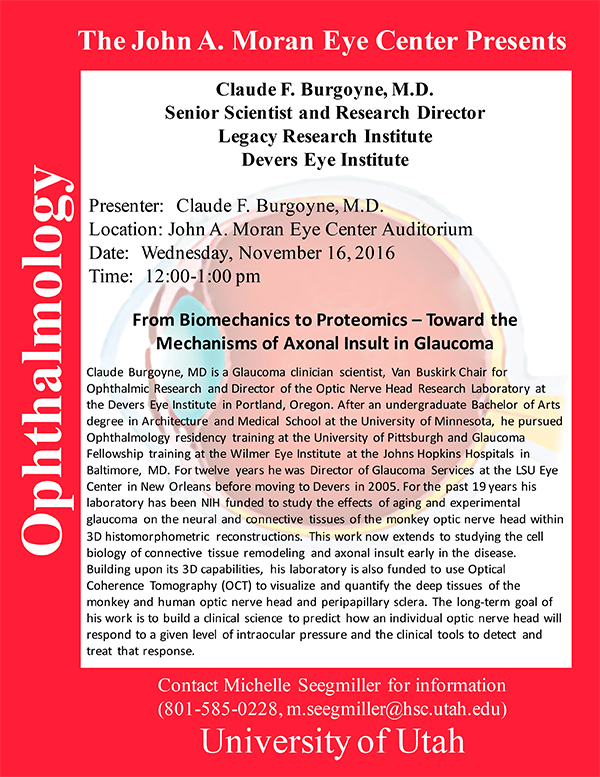 Claude Burgoyne, Van Buskirk Chair for Ophthalmic Research and Director of the Optic Nerve Head Research Laboratory at the Devers Eye Institute in Portland, Oregon will be delivering a seminar on “From Biomechanics to Proteomics – Toward the Mechanisms of Axonal Insult in Glaucoma” on Wednesday, November 16th at 12:00 Noon in the Moran Eye Center auditorium. 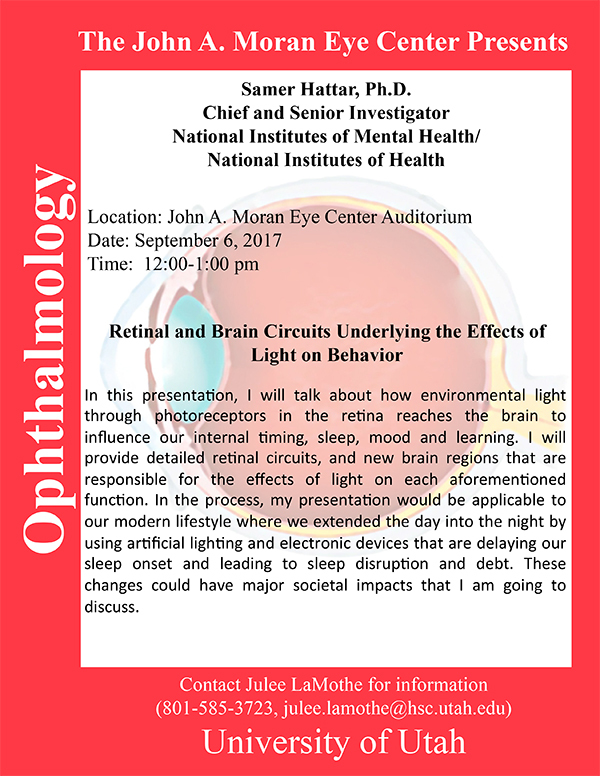 Dr. Burgoyne is a Glaucoma clinician scientist, Van Buskirk Chair for Ophthalmic Research and Director of the Optic Nerve Head Research Laboratory at the Devers Eye Institute in Portland, Oregon. 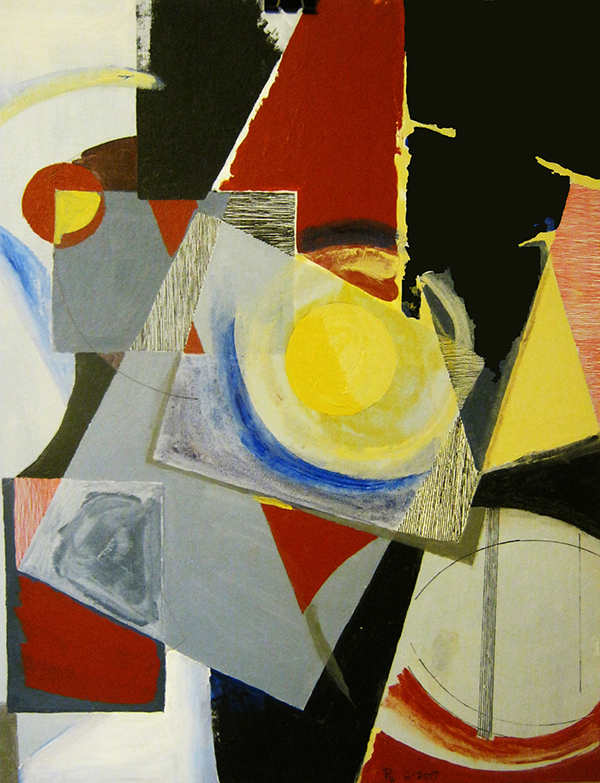 After an undergraduate Bachelor of Arts degree in Architecture and Medical School at the University of Minnesota, he pursued Ophthalmology residency training at the University of Pittsburgh and Glaucoma Fellowship training at the Wilmer Eye Institute at the Johns Hopkins Hospitals in Baltimore, MD. For twelve years he was Director of Glaucoma Services at the LSU Eye Center in New Orleans before moving to Devers in 2005. 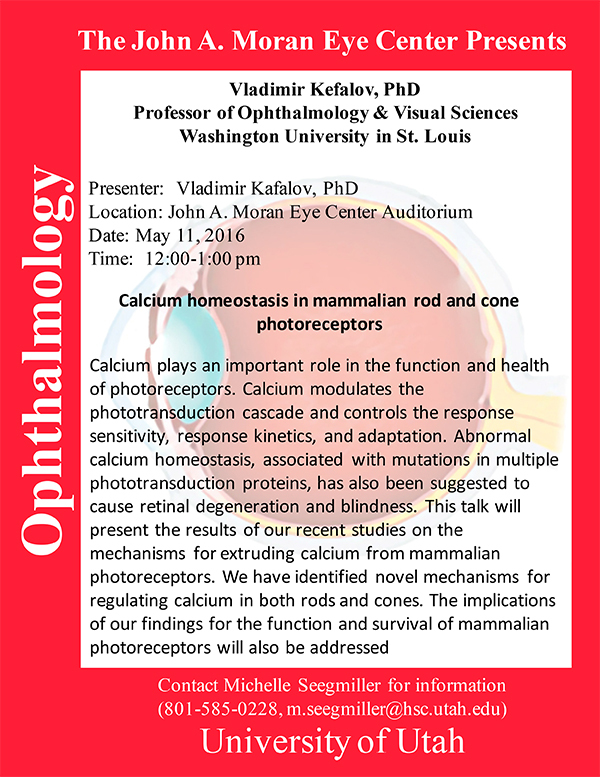 For the past 19 years his laboratory has been NIH funded to study the effects of aging and experimental glaucoma on the neural and connective tissues of the monkey optic nerve head within 3D histomorphometric reconstructions. This work now extends to studying the cell biology of connective tissue remodeling and axonal insult early in the disease. Building upon its 3D capabilities, his laboratory is also funded to use Optical Coherence Tomography (OCT) to visualize and quantify the deep tissues of the monkey and human optic nerve head and peripapillary sclera. 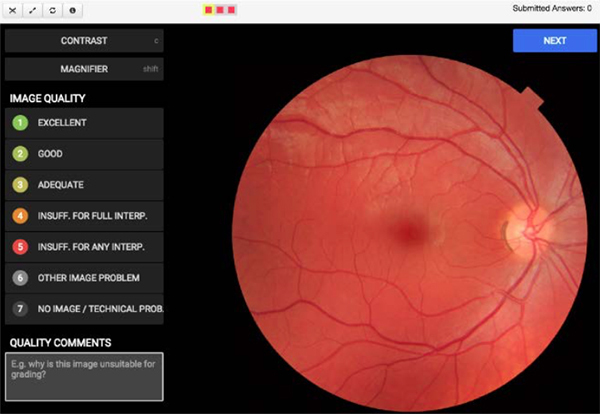 The long-term goal of his work is to build a clinical science to predict how an individual optic nerve head will respond to a given level of intraocular pressure and the clinical tools to detect and treat that response. 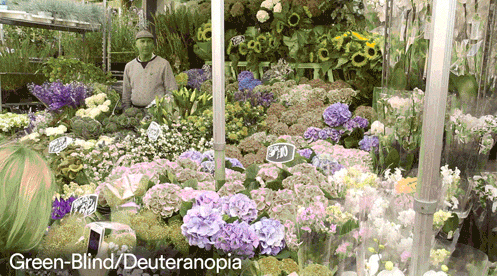 We’ve linked to posts before about what it looks like to people who are colorblind complete with animated gifs, but there is a new resource of gifs from the U.K.’s Clinic Compare that have a more film like quality and include a wider variety of color blindness forms. We include a number of them below including green-blind/Deuteranopia, blue cone monochromacy, red-weak protanomaly, blue-blind/tritanomaly, green-weak deuteranomaly, monochromacy/acrhomatopsia, red-blind protanopia, and red-weak protanomaly. 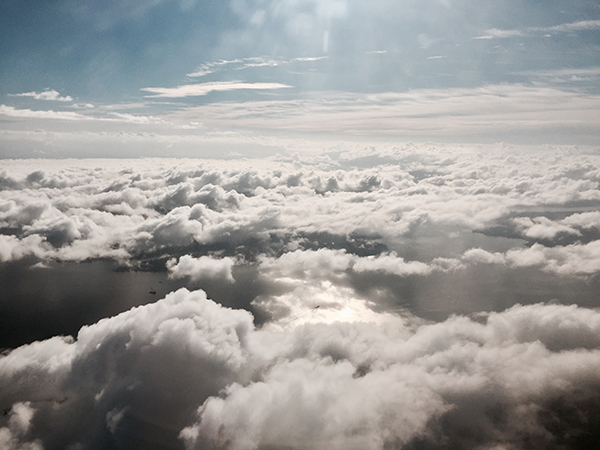 gifs are rather large, so give them time to upload. ht: @boingboing for the link. Glaucoma is the main cause of irreversible blindness in the world. In most common types of the disease, the optic nerve is damaged by an increase in intraocular pressure (IOP) which blocks fluid drainage through canals in the eye. There is currently no cure, however, the disease can be treated by lowering IOP. Unfortunately, all IOP-lowering drugs that in the market today target the secondary drainage pathway which mediates only 5-15% of fluid outflow. Therefore, the main goal in glaucoma research has been to identify targets in the primary outflow pathway mediated through the trabecular meshwork tissue. David Krizaj’s group at the Moran Eye Institute (University of Utah School of Medicine) has done just that. 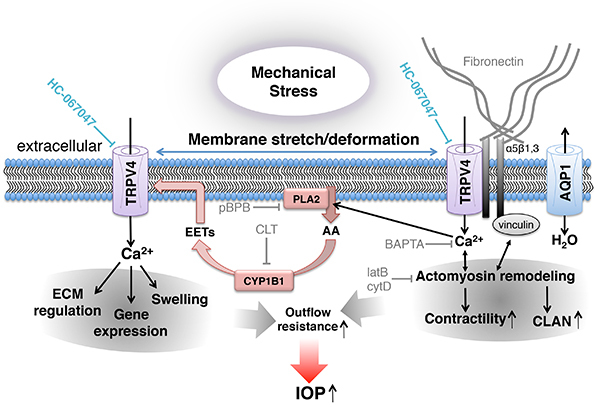 In a paper just published in Scientific Reports, they identify TRPV4, a mechanosensitive ion channel, as the main trabecular target of increased IOP. This highly collaborative project combined genetic, molecular, whole animal approaches with bioengineered nanoscaffold models of glaucoma and drug discovery to show that activation of the channel mimics the trabecular changes in glaucoma whereas elimination of the TRPV4 gene or systemic exposure to TRPV4 inhibitors protected mice from the disease. In collaboration with Glenn Prestwich’s group in Medicinal Chemistry at the University of Utah, the team synthesized new eye drops which lowered IOP to levels seen in control mice. By targeting the primary outflow pathway, this study promises to bring new, effective cures that complement current glaucoma treatment. The primary authors of the study are Dr. Dan Ryskamp, Amber Frye and Dr. Tam Phuong. 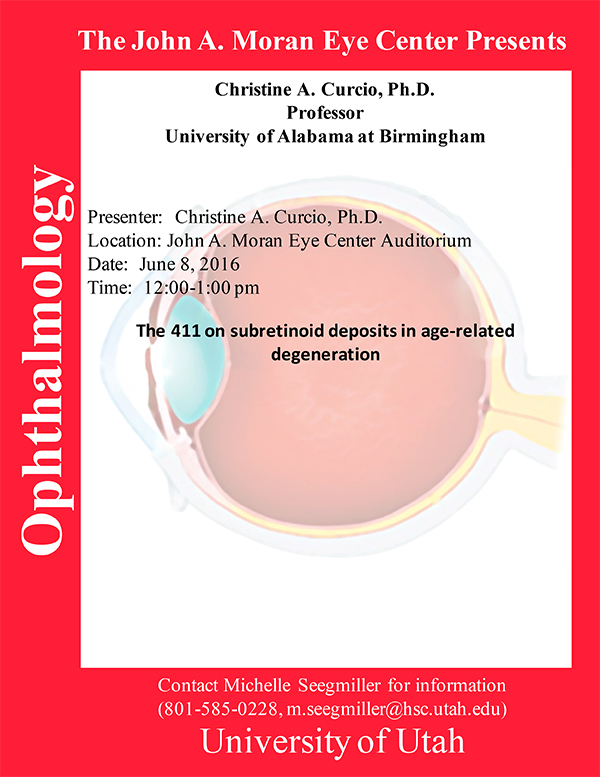 Christine Curcio, Professor of Ophthalmology at University of Alabama At Birmingham School of Medicine will be delivering a seminar on “The 411 on subretinoid deposits in age-related degeneration” on Wednesday, June 8th at 12:00 Noon in the Moran Eye Center auditorium. 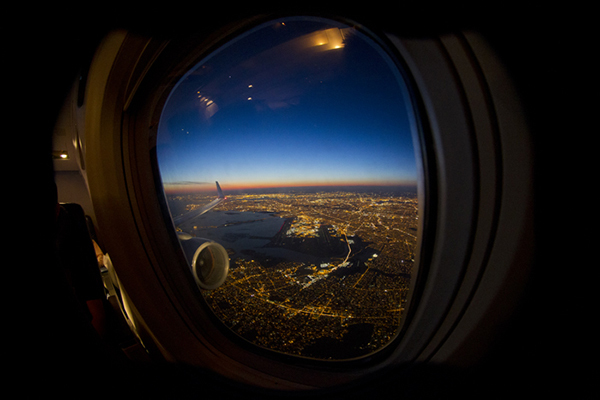 We are off to ARVO 2016 in Seattle, Washington to participate in the largest gathering of vision scientists and ophthalmologists in the world. It’s the annual meeting of researchers and clinicians presenting and discussing all things vision and ophthalmology. If you are going to be at ARVO and want to meet up, leave us a comment here or send a Tweet to @Webvision1 and if you are on Twitter, be sure to use the #ARVO2016. This is a fun and pretty accurate Youtube video on how different animals (vertebrates and invertebrates) visually process the world. There is so much to learn from the evolution of the eye and we here on Webvision are always happy to see basic science and the science of vision being communicated to the wider public. Note: I first saw this on a Laughing Squid blog entry. Lori Dorn posts the best articles there. 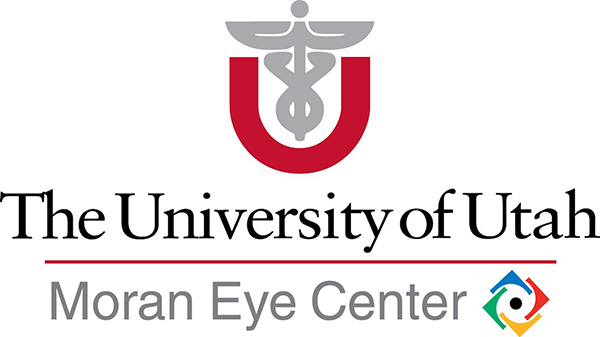 The University of Utah Department of Ophthalmology and Visual Sciences invites applications for a full-time position at the level of Assistant/Associate Professor (commensurate w/experience) in the field of visual system function and or/disease. Successful candidates are expected to establish a strong research program funded by federal sources (NIH, NSF), to strengthen the current research carried out at the Moran Eye Institute as well as bring new areas of research into focus.